books I want for Christmas, in case anyone’s interested! who wants to make some cheese?! Here are a few books I’ve read and recommend. I’ll be updating the list often, so make sure to check back on this site again. If you have similar books that you enjoy, please post in the comments section. 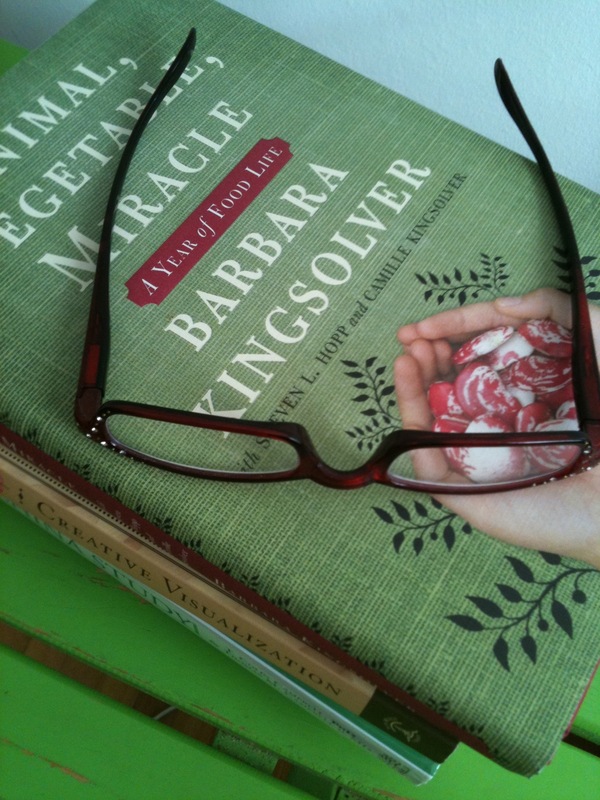 Barbara chronicles her family’s foray into eating local for a year. It’s a family affair, as her husband and daughter contribute to the book as well. Her husband includes very good information on factory farming, supporting local, etc and her daughter contributes recipes and seasonal menus. One of the chapters talks about why eating meat should be given consideration (aside from issues surrounding health and acid vs. alkaline diets). I personally found the book very informative, especially the section on how to make cheese. This is something I’m definitely going to try! Side Note: Who wants to make some Cheese? Similar to The Secret, I find this book less focused on money success and more focused on other forms of success, as well as meditation and of course how to visualize successfully.